Termites cause about $5 billion in property damage every year in America. Although many natural pesticide sites such as “Gardenguides” advise planting garlic, marigold and mint around the house to repel insects; there haven’t been research studies that confirm mint or mint oil is effective against termites. Many essential oils have been found to have insect-repelling or insect-killing properties, explain Carol Clausen and Vina Wang of the U.S. Department of Agriculture: cinnamon, clove, lemongrass, mint, oregano, rosemary and thyme among them. Mint numbers among the essential oils that are consistently effective, no matter the variability of product. Mint oil is proving to repel cockroaches, reports Clemson University researchers, but studies of its effects on termites haven’t been documented. 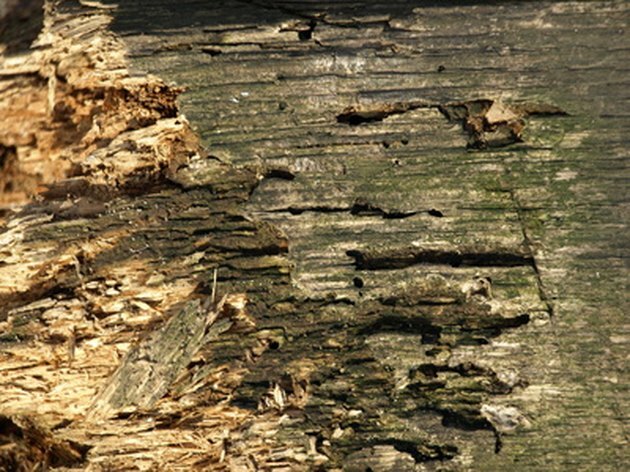 Wood-eating termites cause billions of dollars worth of property damage every year. Clausen and Wang explain that essential oils seem to affect the nervous system of insects. They block a receptor of neurotransmitters in arthropods and may activate a disruption in metabolism that kills the insect. Scientists also theorize that essential oils affect cell membranes or block the trachea of insects. 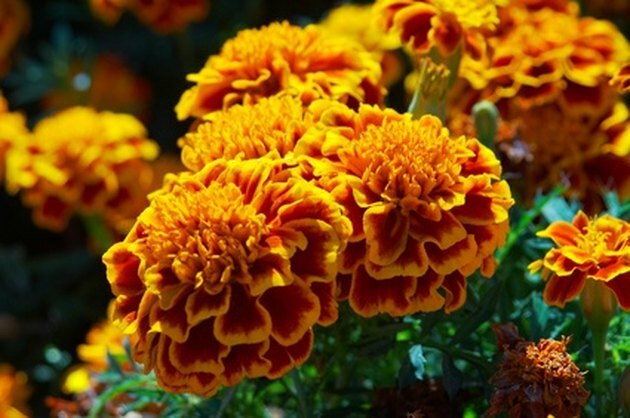 Marigold plants are said to repel insects. 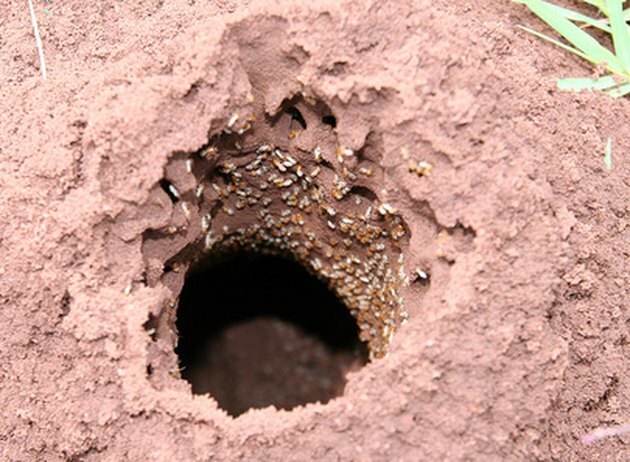 Clemson University scientists found that termites are repelled by cedarwood, geranium and tea tree oil. Clausen and Wang report that other studies have found that clove bud, cinnamon and garlic oils may repel or kill termites. Clausen and Wang found that dill weed and rosemary oil were 100 percent effective in killing the termite species they studied within 24 hours. Treating wood surfaces with geranium, lemongrass and tea tree oils repelled termites. Barbara Fahs of “Gardenguides” says that catnip oil kills termites when they come into direct contact with it, but the oil doesn’t last long in the environment. Fahs also recommends planting Indian vetiver grass to repel termites or using chili pepper spray on wood. 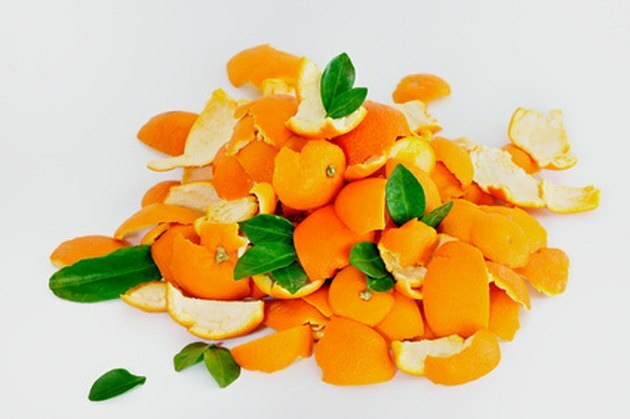 The oil of orange peels is thought to kill and repel termites. Many pest control experts, such as authors of “The IPM Practitioner” Bill Mashek and William Quarles, recommend using orange oil or D-Limonene products against termites. D-Limonene is extracted from citrus peel and affects the sensory and motor nerves of insects. Orange oil has been found to kill termites by contact in lab situations, reports Mashek and Quarles, and another study found that injecting trees at 5-inch intervals could kill from 48 percent to 100 percent of termites in Brazilian pepper trees. The USDA has found that a five-parts-per-million solution of orange oil killed 96 percent of termites within five days, and lower concentrations reduced their feeding. The termites were not in direct contact with the oil: the vapor was enough to kill them. 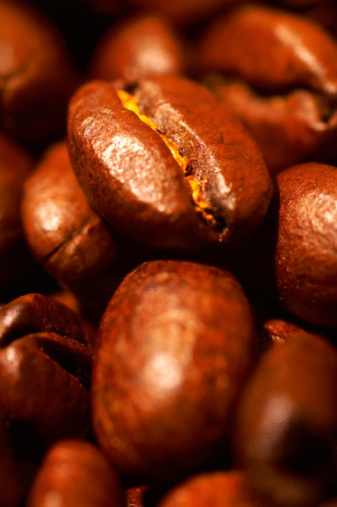 Unfortunately, when wood was used, it absorbed the orange oil and caused only 15 percent termite death. In India, cattle urine is poured down termite holes. The Center for Indian Knowledge Systems says that farmers protect their crops from termite attack in India by mixing lime and sulphur into the soil, heaping wood ash around the base of trees, pouring a cattle urine solution down termite holes and painting tree trunks with pastes of clay or cattle dung. Mint, catnip and orange oils are worth a try in termite control. Just because studies haven’t yet been done on the effects of mint oil on termites doesn’t mean that it won’t work. 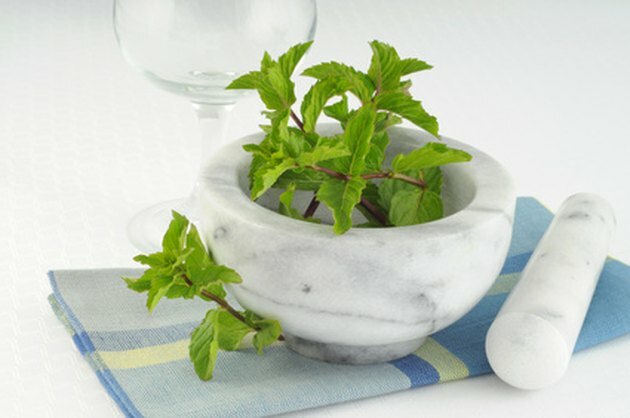 Mint oil is a potent insecticide, and it might be useful to plant mint around your home. You can prevent termite infestations by keeping soil dry, discarding cardboard, paper and wood debris, sealing cracks in wood and foundations, and building sand barriers.